With holidays right around the corner there is a ton to think about and a ton to do, What to wear, and of course the gifts we want to give and those we may be hoping to receive. 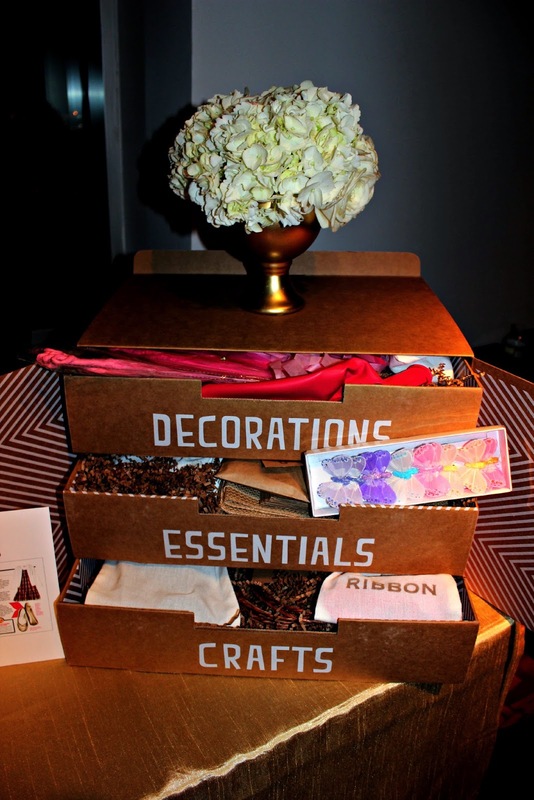 The box of butterflies on the middle tier is what caught my eye! 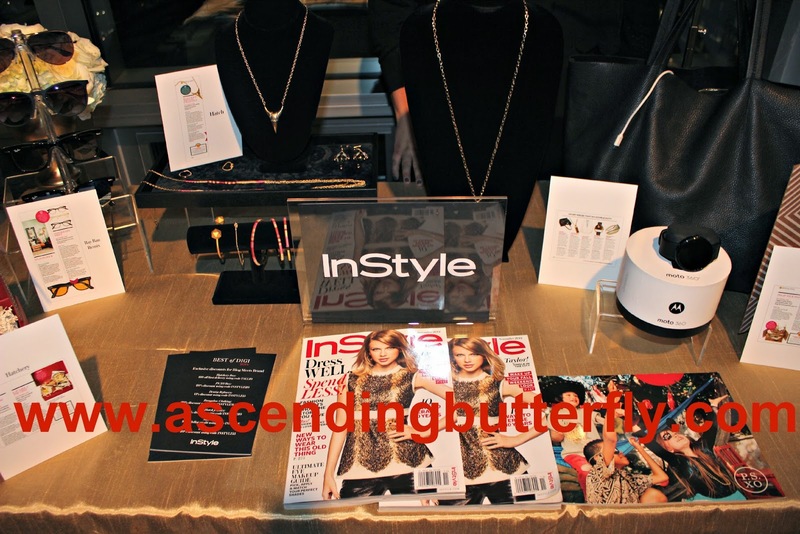 InStyle Magazine hosted a holiday preview event that curated the latest and greatest (and most fashionable of course) trends of the holiday season all in one room! They certainly crammed a lot of style into a little space! 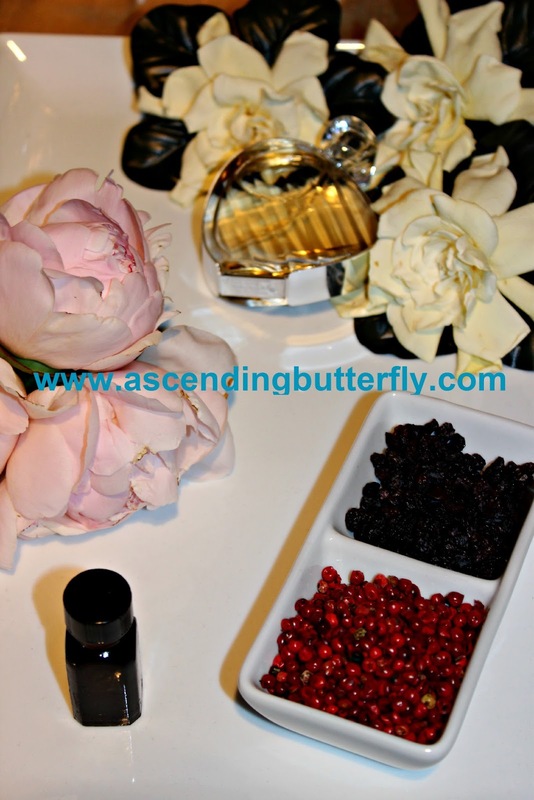 Above: Elizabeth Arden presented several of their fragrances, and they were creatively displayed with what comprises the notes included in the scent, Genius! The classic Red Door is one I was definitely already familiar with. Above: Not quite new, but new to me was Elizabeth Arden's Red Door 25, I found it a more 'sensual' version of the traditional Red Door. 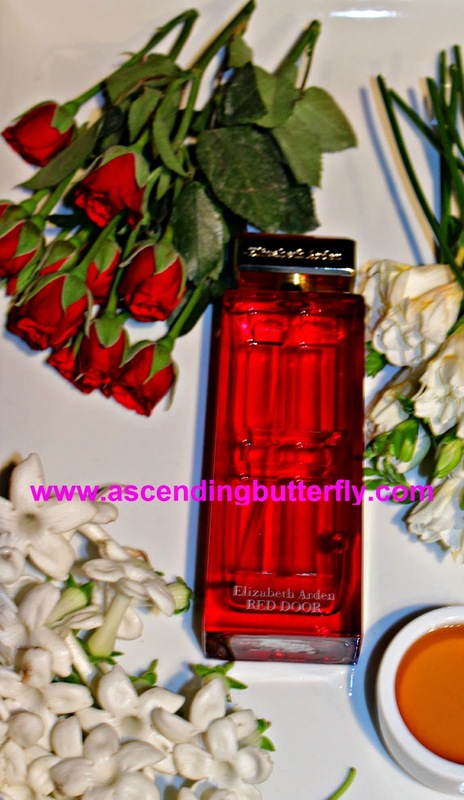 Above: Elizabeth Arden also had their newer fragrance Untold on Display, a creamy white floral with fruitier top notes of pear and black currants. 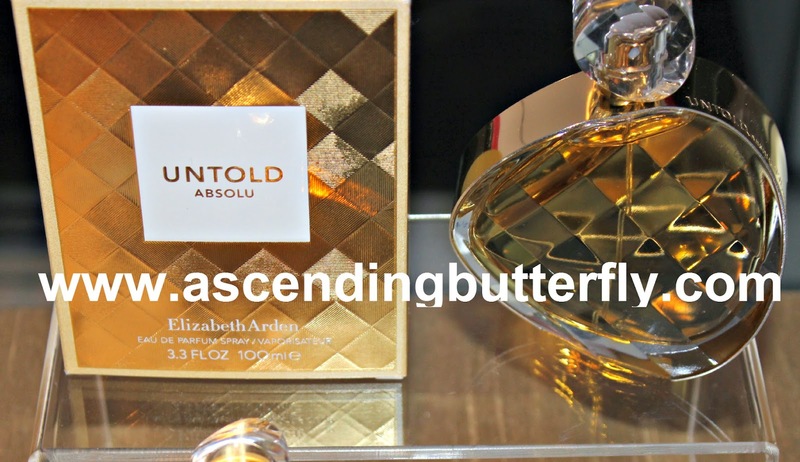 Above: Elizabeth Arden also displayed Untold Absolu a more intense version of Untold, ideally you could layer them, if you wore Untold during the day, you might want to use Absolu in the evening on the way out to dinner. Tres Chic bottle! They also gave us lipstick makeovers, I let them take off my signature red (that I custom blend myself) and they took me down, which means lighter. I'm not going to say it wasn't a nice shade because it was, but as soon as it started to transfer from snacks and drinks I did put my 'me' lips back on in the ladies room, sorry guys! I'm a red lip girl for life. At best I'll do some plums in the fall, but it's rare that I'm not wearing my signature red. Untold Absolu is definitely the perfect scent for a red lip and banging outfit for New Years Eve! Go Butterfly, Go Butterfly! Get it girl! Above: I posted about Jergen's BB Body on it's own HERE. I did tell you I had WAY more to tell you about how and where I discovered them! Yes butterflies #BBgoesBody! Above: Make-Up Artist (you know just to Hollywood's Elite, no biggie, lol) Pati DuBrof spoke about Makeup Trends, and the tricks she uses to get the stars 'camera-ready' and you bet Jergen's BB for Body is in her arsenal! 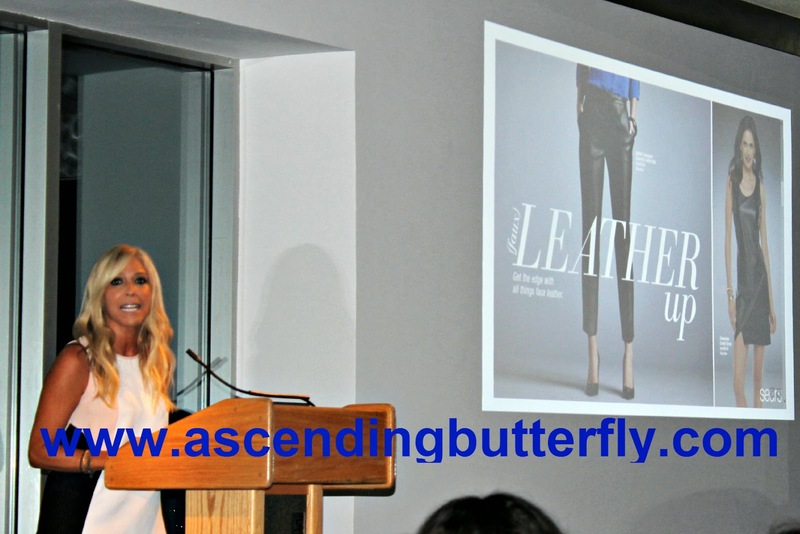 Above: TV Reporter and Stylist Rachel Zalis spoke about the relaunch of SearsStyle Metaphor Collection, needless to say they had me at 'Leather', LOL! Above: The Metaphor Collection by SearsStyle includes pieces for work and play! 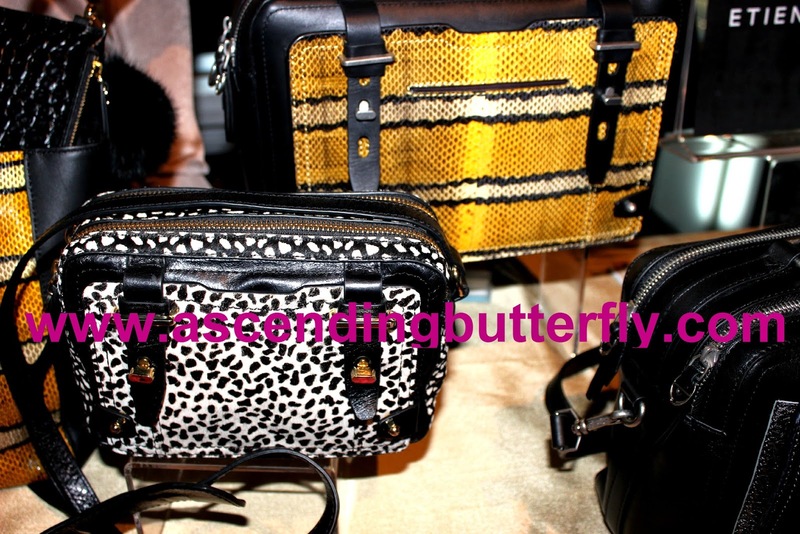 Fashion doesn't get simpler, easier or more affordable butterflies! Above: Silk'n presented a wide assortment of their products/devices to help you look and feel beautiful and confident including their Hair Removal device, Flash & Go, their Anti-Aging Device, FaceFX, their Acne Facial Device, Blue and their MicroDermabrasion device Revit. I was a lucky raffle winner! I wanted the Flash&Go but they didn't have one so I got the Revit system instead, as soon as I try it out I will definitely share how it is working for me! They also gifted attendees with their Silk'in Pedi device which recently arrived in the mail, once I get started with that one I will also post a full review on it. Trust me when I tell you even the girl or guy who 'has everything' will still want, love and need any of these. All of their products are definitely perfect to get you primed and prepped for your upcoming holiday parties and events! Above: Instyle Magazine's 2014 Holiday Gift Guide winner SugarWish was a popular stop, it's literally the sweetest and easiest gift ever! You select a Sugarwish Git and your recipient gets an eCard, THEY pick the candy of THEIR choice and sweets are delivered directly to their door. No wondering if you are picking something they love, they are picking it themself! LE YUM!!!! I could use this right about now, writing always gives me a case of the 'late night snack attack'. Don't think I didn't notice those mini butterfly gummies on their website! Tres Cute AND Sweet! 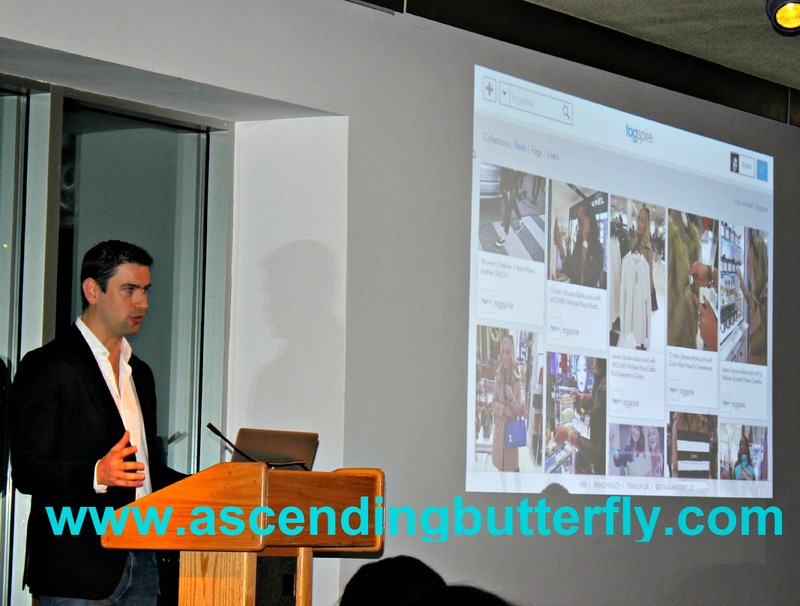 Above: Want to get into the internet commerce game? Want to sell online without ever stocking inventory yourself? When your friends, family (and in the case of bloggers, followers) ask 'where did you get that?' you can send them straight there, tell them why you like it, rate it, link to it, and when they buy it, you earn cash rewards! (I know right!) Tagspire is the place where you share how fly you are and get paid for it! I am still trying to figure this site out, but once I do I will share my page on Tagspire with you all! 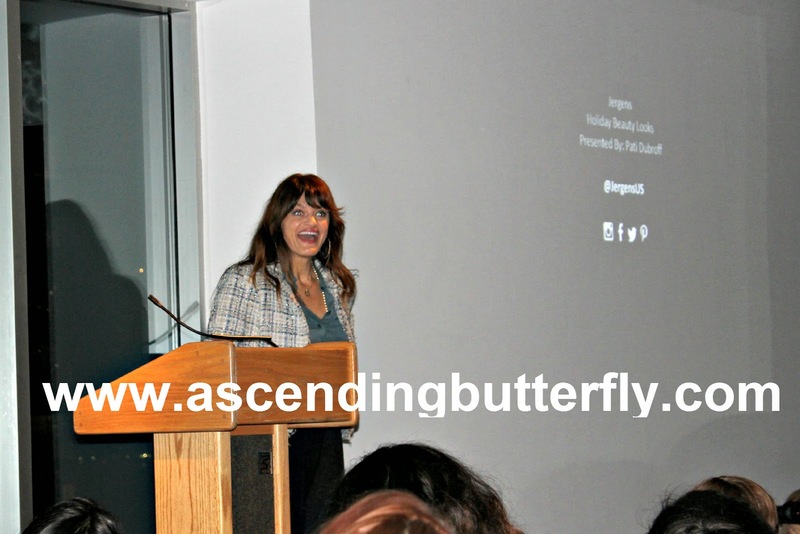 This was a well-curated event with a little something for everyone. In the picture right above My Take, I have to highlight that leather totebag with a built in charger, can't ever say you forgot your portable charger with this smart tote. I also fell in love with the Tory Burch for Fit Bit Necklace, I think the InStyle Sign may be covering it. I am trying to get them to send us a review unit, but so far crickets. Double Le Sigh, another thing to add to my growing list to Santa thanks to this event! There were enough great holiday ideas to keep this butterfly inspired, and a few that I added to my list for Santa Claus that's for sure! What item featured above would you want to Santa to bring you this year butterfly? Have you been a good butterfly this year? FTC Disclosure: I was invited to Celebrate InStyle as a member of the Digital Media, this is NOT a sponsored post, it is an event recap of my experience. All opinions are 100% my own. I am disclosing this in accordance with the Federal Trade Commission 16 CFR, Part 255 - Guides Concerning the use of endorsements and testimonials in advertising, you may visit our full giveaway and disclosure page for complete policy information. This post may contain affiliate links. There is a lot of great stuff going on there. Those watches are gorgeous. Seems like an amazing event to be a part of. Sounds like you got to see a lot. This looks like it was such a lovely event. I'd be in Heaven looking at all those fabulous products. A bag with a built in charger?! I need that in my life. Wow, what a fabulous event you got to attend! I would be in heaven sampling and previewing all those amazing products. 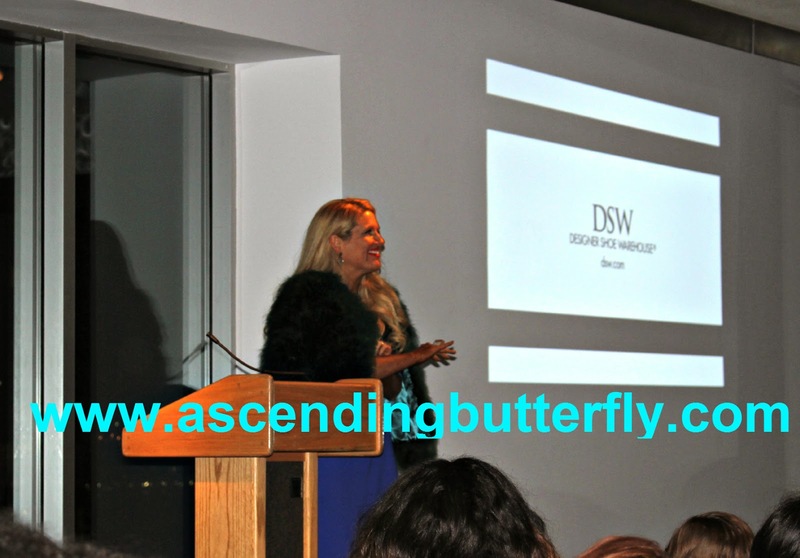 The Shoe Struck event at DSW???!!! What??!!! I will so be on the lookout for that! 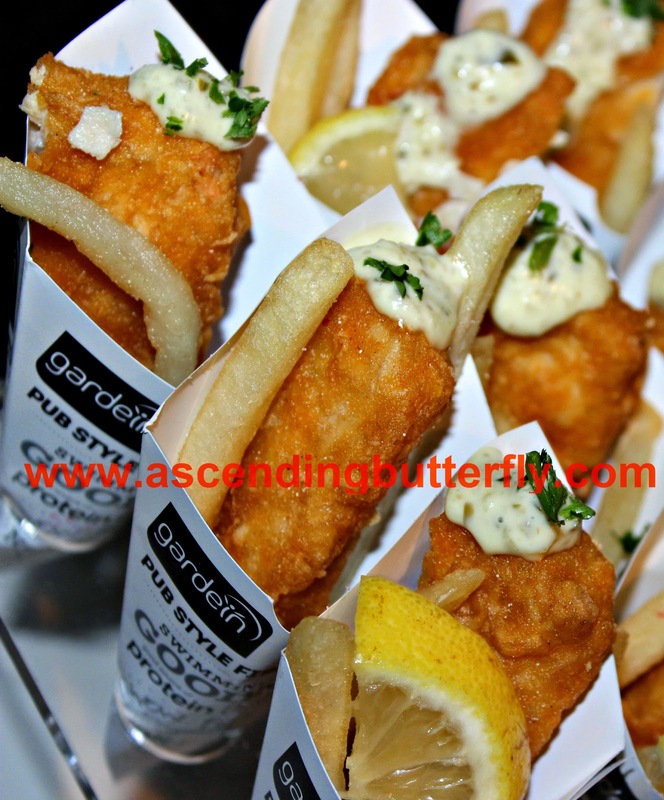 Those fish and chips look amazing too. That's an awesome preview event for the holidays. I would love to check one of those out. Looks like we have a lot of excellent products to look forward too. I like to keep up with fashion and style with InStyle, they are a classy publication compared to some others. I'm all about keeping up on the trends. What a fun gathering of products .I can see me being able to use or gift most items, love the idea of bag and charger and ohh those watches yes please.There's nothing better than a healthy snack while looking at all this great stuff ! Can I have one of everything? ?The candies look awesome, the watches are divine. So lucky that you got a free pair of shoes..
Look at all that great stuff. I'm excited to see some of those products in person. Omg so much fabulousness all on one page!!! Loving those watches!! I'd love to try any if these fragrances. My hubby buys me a new perfume to try every year. Everything looks so wonderful! How lucky that you got to experience that. What a great display of products. I love the watches and of course the red door perfume. Nice! 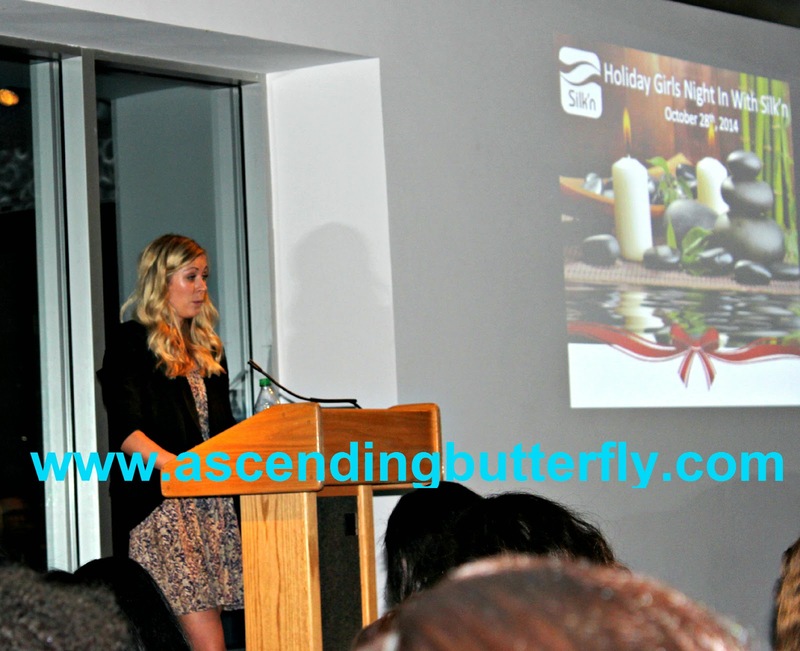 I am an event girl and I think this was a fab event hosted by InStyle Magazine! You did a great job on the recap and I really wish I was there! InStyle come to Atlanta and I love the magazine too! This is a lot of great stuff. What a fun event to attend. 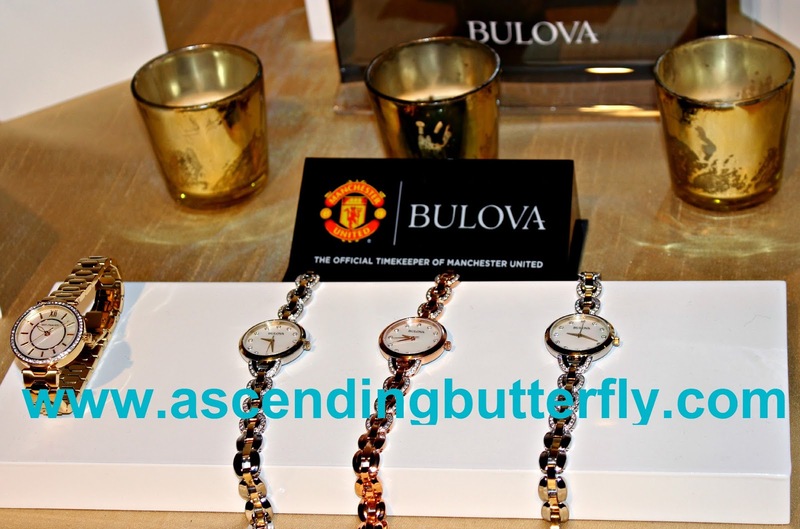 I would love to have a Bulova watch. Looks like a great event. So much great stuff too. Wow, I would never have guessed those dresses were from Sears! Looks like it was a fun event! The event looked fantastic! So much great stuff and the food looked awesome! Thanks for sharing the wonderful recap! There is lots of cool stuff there I wouldnt mind lots of it! Those butterfly gummed are screaming my name though! Looks like a great event! Looks like a wonderful event! Those butterfly gummies Santa can bring me for sure! Looks like such a fun event and I love all of the products! 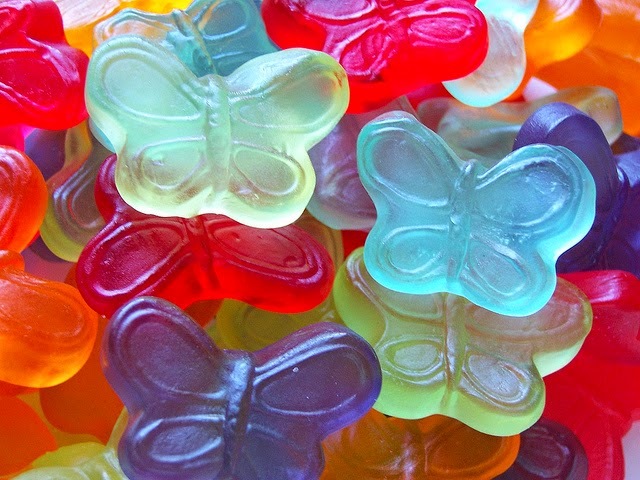 Those butterfly gummies look so yummy! So many nice things that would make great gifts. I love your website by the way. 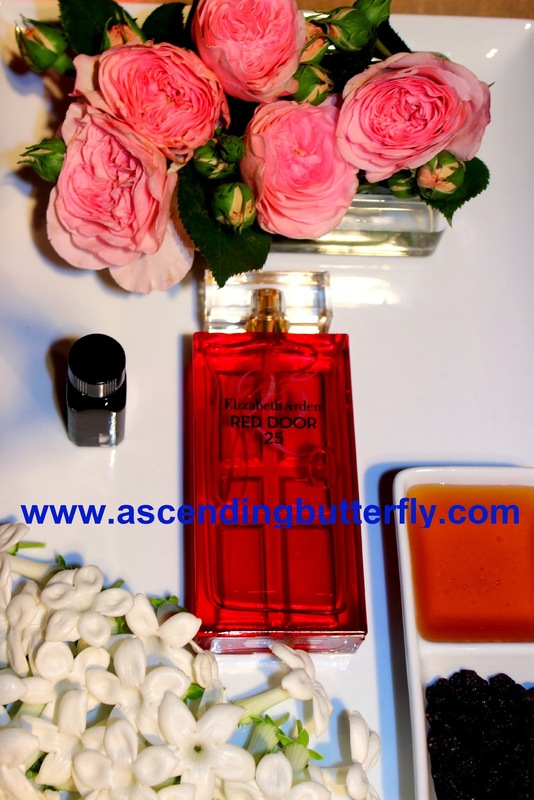 I love the bottle design of the Elizabeth Arden Red Door fragrance...that is so eye-catching.That's interesting about the fishless filets...what were they made of? To answer your question, I think that I would want to see the Jergen's BB Body as a stocking stuffing because I got a sample of their Ultra Healing Moisturizer and it feels sooooo good on the skin, so I'm now interested in some of their newer products. What a great event! I love that black lace dress in the Metaphor collection from Sears. I want one of those watches. Look so nice. this looks like such a great event to attend. :) i'm no fashion or beauty blogger, so i haven't attended any events quite like this.. but it looks like they have featured a lot of great products and speakers here. Love Instyle, it's one of my favorite magazines! This looked like such a fun event! A lot of those products are so fabulous! It was such a nice event.